While Pinterest is generally overwhelming, (how many times have you done the whole “pin now, read later” thing and never actually tried the recipe or craft?) it really does house some phenomenal craft ideas. 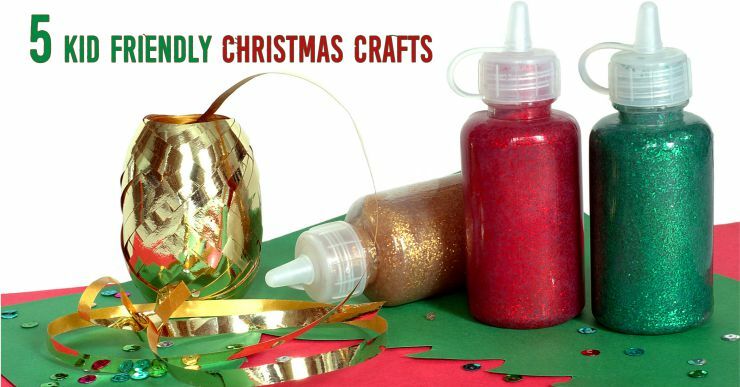 When it comes to keeping the kids under control and from getting too stir-crazy on a snow day, Pinterest is the go-to for kid friendly Christmas crafts for the holiday season. Here are a few of our favorites, share yours below! Cinnamon Salt Dough: These adorable (and wonderfully fragrant) ornaments will be the unique finishing touch on the Christmas tree. As fun as playdough, and just as easy! Use cookie cutters to create fun shapes like hearts or snowflakes, or personalize them with a mushed-in handprint! Leave ’em plain or paint them, the possibilities are endless! Pine cone Trees: Adorable, and easy! Collect pine cones after a day of sledding, get out the paint & craft supplies, and you’re on your way! Jazz ’em up as much as you want with buttons, glitter, sequins and more. These can be easily turned into ornaments with a little string, too! Gingerbread House: This is a straight up classic! A craft you can snack on… There are so many ways to get creative and make this your own, that we’ve shared a link to a great pin that offers a bunch of tips and ideas. Gumdrops, candy canes and of course the glue that holds it all together… the icing! Go for a salty/sweet alternative and use pretzel rods as logs for your cabin! Building memories while you build a home, that’s what Christmas is all about. Sock Snowmen: This is an intermediate craft for older children, but how cute! Using easily accessible craft supplies (and a sock!) you can create a fun decorative set of snowmen – make one for every member of the family! 70 Crafts for Kids: 5 crafts? That’s not enough… so we found this pin that shares 70 kid-friendly crafts! From cookies to ornaments, to puppets and snowflakes, this list will cover every age and every artistic interest. Happy holidays from all of us at Your Holiday Lights… share some of your favorite snow day crafts below! Previous Previous post: Christmas Colors: what do they mean?